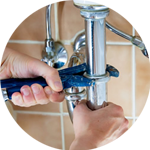 If you are looking for a plumber in Westminster to assist with any plumbing needs, the Handy Squad has got you covered. 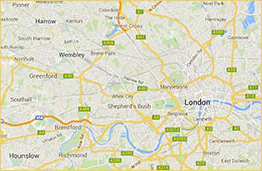 You can see us all around London ready to help in our signature yellow scooters and vans. 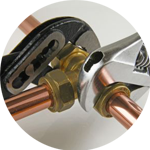 We guarantee to complete any job with precision and in a timely manner. So, why not give your local Westminster plumber a call? Book online now or call 0800-0-12 12 12. Westminster is located on the north bank of the River Thames which plays host to a variety of iconic landmarks. These include; the Palace of Westminster, Big Ben, Buckingham Palace and the Houses of Parliament. The area is also home to the Westminster Abbey, which contains the graves of historical figures, including Charles Darwin. Since 1066, it has also acted as the traditional venue for the coronation of the Kings and Queens of England. 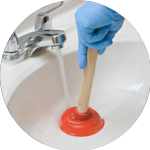 Our team of expert plumbers can reach you in Westminster or any of its neighbourhood areas, such as Pimlico, Mayfair, Convent Garden and Vauxhall. We offer all the services you might require, from installing white good appliances to replacing toilets, showers or baths. 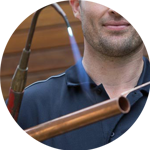 If you are looking for other handyman services, our Handyman London team offers carpentry, locksmith services, jet washing, home makeover services and much more.